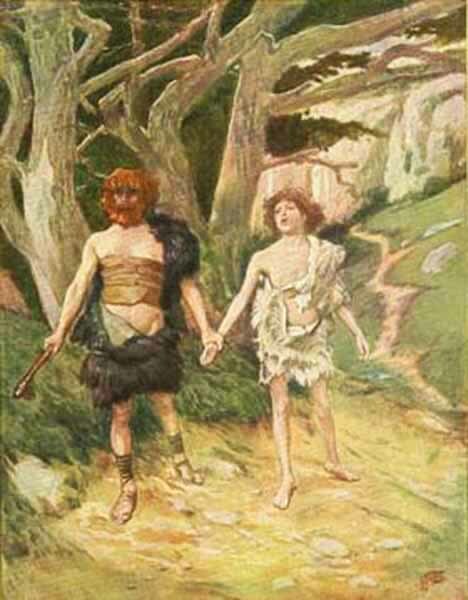 "Cain Leadeth Abel to Death" (1896), watercolor. 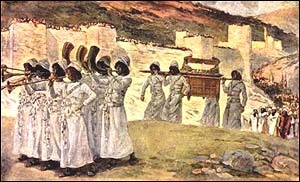 "The Caravan of Abram" (1896-1902), gouache on board, 7-7/16x 3-5/16 in., The Jewish Museum, New York. 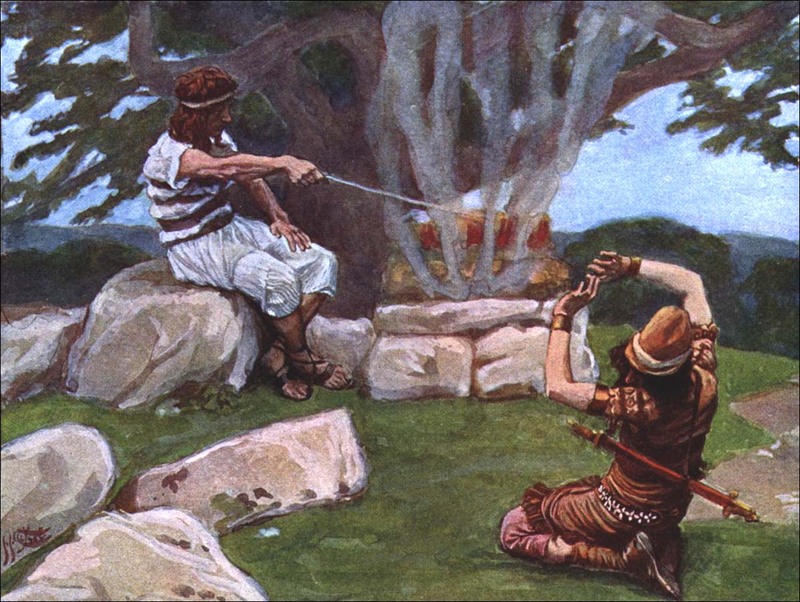 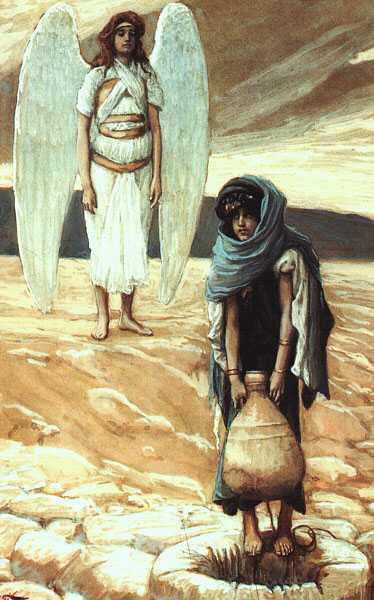 The Angel Puts Fire on the Altar of Gideon (1896-1900), watercolor. 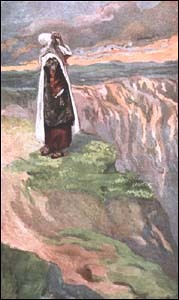 "God Appears to Noah," The Jewish Museum, New York. 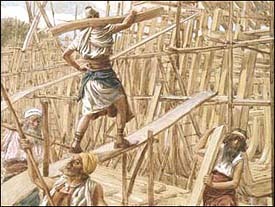 Building the Ark (c. 1896-1902), gouache on board, 21.5x28.8 cm, The Jewish Museum, New York. 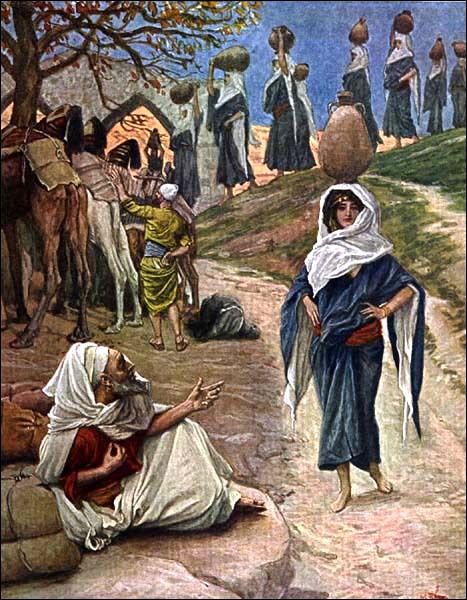 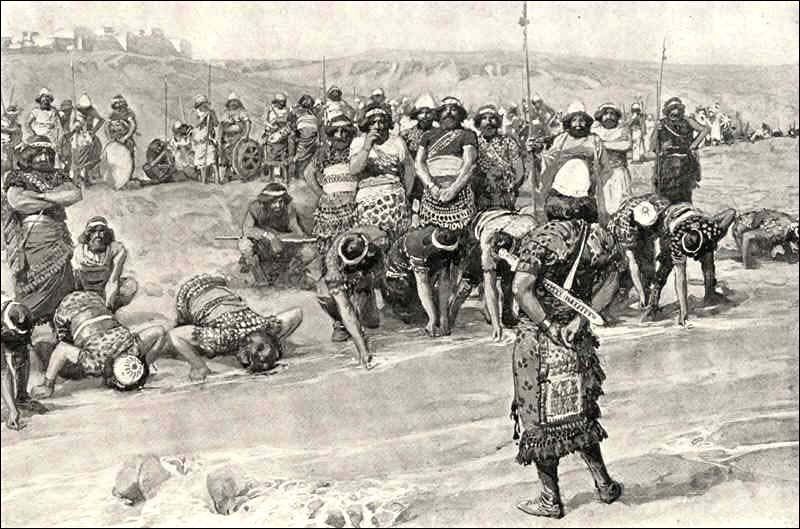 "Gideon chooses the three hundred" (1896-1900), watercolor. 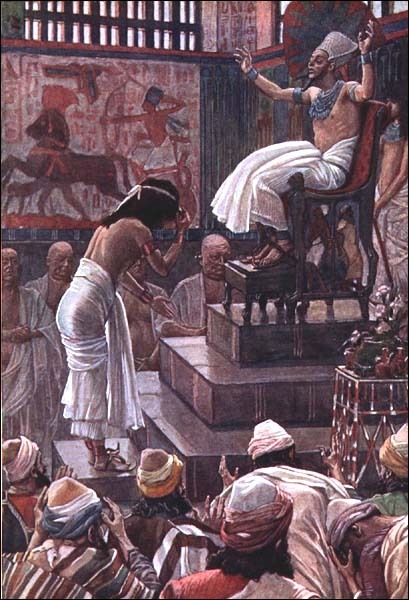 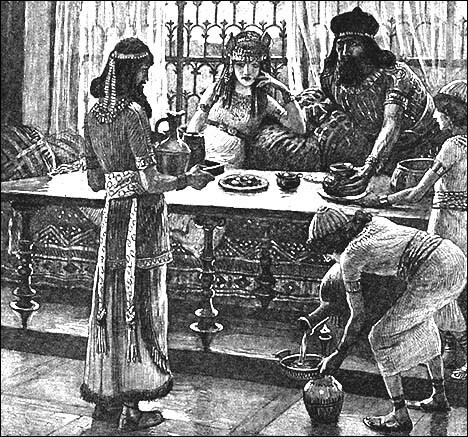 "Pharaoh welcoming Joseph's Family to Egypt" (1896-1900), watercolor.